Emergency locksmith service within 30 minutes, anywhere in London! Securing your property – If you have just moved in, you might want to change the locks. Who knows, somebody else might have a key to your place. Also, additional locks might be added and the entryways of your property can be fortified. Insurance purposes – Most insurance companies require locks that pass the BS3621 British standard. Non-destructive entry – If you have locked yourself out or you can't find your keys, just relax and call in a locksmith to open the locked door and fix the mechanism. 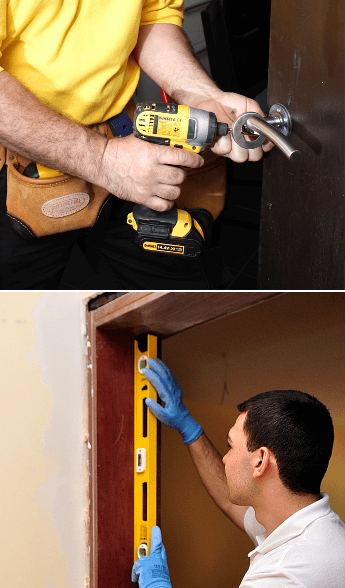 Emergency repairs after forceful entry – In case somebody broke into your home, we can assist you with lock replacement, repairs for entryways, even reinforce your doors and windows. We can also secure the entry for the night and conduct the repair work on the following day if needed. We can change your lock but we do so much more! Fresh lock installation – You can have a new door lock installed for security reasons at any time. Lock change – The skilled locksmith can change any type of lock quickly and reliably. Lock repair – In case something is wrong with your lock, then the specialist can repair it. Lockout – When locked out of your property, contact us and we will grant access for you without any damages. Key broken in lock – This is a very unpleasant situation but it is not as serious as you might think. Soon you will have your door fixed and a new key made for you. CCTV – Installation and repair of all types of CCTV systems for any property. Access control – Handling installations and repairs of both electronic and mechanical access control systems. Safe opening – We can even assist you with getting ahold of your belongings that are trapped in a safe. Bailiff appointment – Tenant troubles are quite unpleasant. We can provide you with professional assistance when you wish to evict the troublemakers. What is the coverage of this service? Right now this service can be booked for the areas within the M25 area. Can you guarantee the quality of your service? 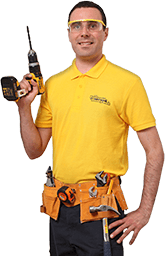 Since the service is done by fully qualified locksmiths we are able to give you a workmanship guarantee of 6 months. I am in an emergency situation, can you come as soon as possible? Yes, just contact us at any time. This service is available 24/7 and a locksmith will come to your address in about 30 minutes. Can you install a security alarm for my flat/apartment? Yes, this can be done. There are alarms designed especially for apartments. The difference is that the alarm is installed inside the property rather than outside. Do you use British Standard locks? Yes, all locks installed by us are British Standard (BS3611). Are your services available for commercial properties? Yes, you can make a booking for your office or any other type of workplace. Can I remove a broken key from the lock myself? While you might be tempted to give it a try, we generally advise you not to. You could damage the lock even further. Does my lock require any maintenance? The simplest form of maintenance you can do for your door lock is to lubricate it a little bit every once in awhile. This will prolong its functionality.